Chris Wagner - MākuSafe Corp.
Chris Wagner grew up in Alexandria, Minnesota and attended Luther College in Decorah, Iowa. After graduating from college with a degree in Computer Science, Chris moved to Des Moines, Iowa. 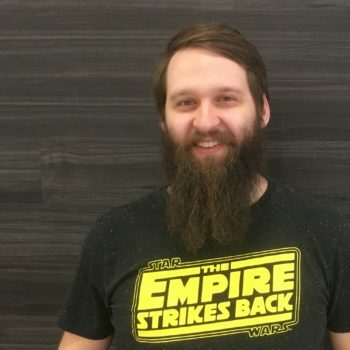 Chris joined the team in November 2018, after 4 years as a Code Wizard with Shift Interactive building mobile apps and utilizing emerging technologies such as Virtual Reality to create cutting-edge software experiences for their customers. He has spent time starting his own mobile gaming company, as well as working as a freelance developer specializing in productivity tools for manufacturing companies. Chris is a technical genius, focusing on creating rich user experiences and tackling the most difficult programming challenges. When Chris isn't building safety software, you might find him developing a new gaming app for the masses. Chris, his wife Rose and their son Jack now live in Winterset, Iowa where they enjoy spending time with their three dogs.